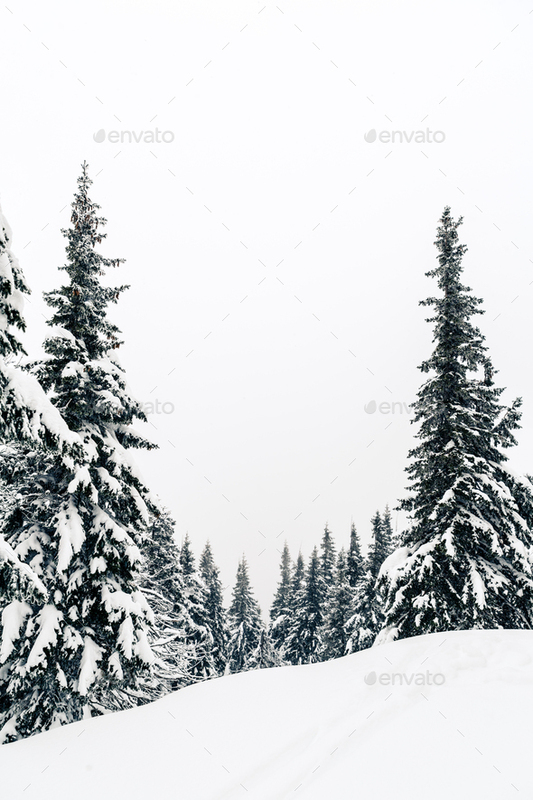 Winter forest, white trees inspiring landscape. White road or footpath with deep powder snow. Beautiful inspirational scene with frame made of trees with copy space.